So many beauties, so little time! Better hurry up and join our Voice vs Text Raffle Challenge wherein you can get a chance to win an hour of voice or text date with the beauty of your choice. 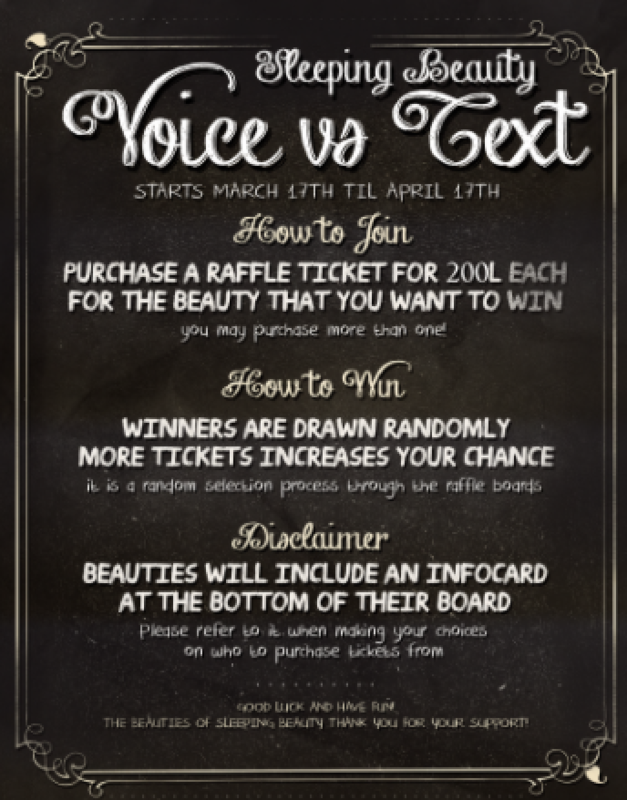 Please refer to the board to determine if you are bidding on a VOICE OR TEXT or TEXT ONLY date. Raffle tickets cost $200L/each. The more you buy, the better your odds! The winner will be picked randomly by the board system. Contest ends when the counter reaches zero. BABY YOU NEED TO HURRY UP! We only have about 3 days left till its over.